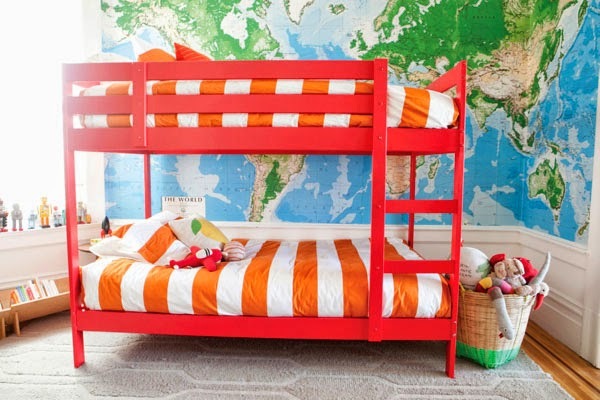 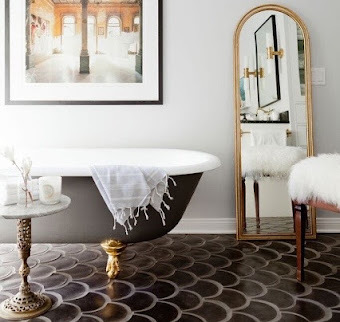 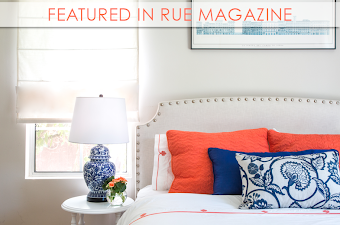 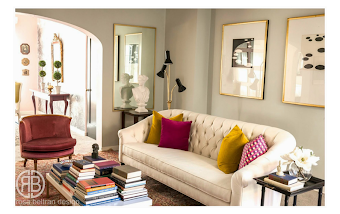 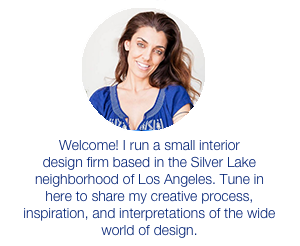 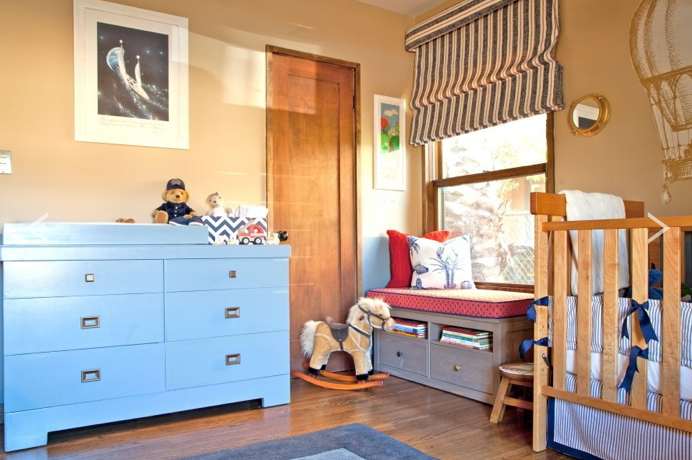 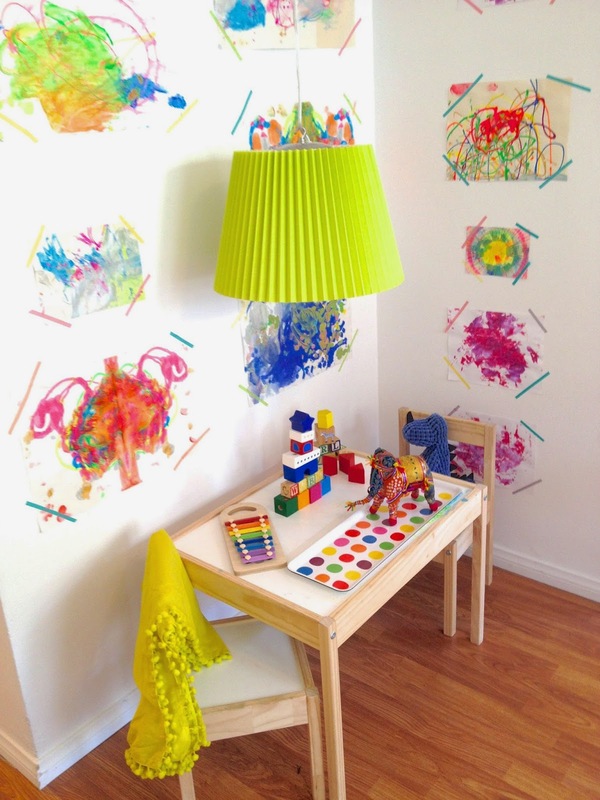 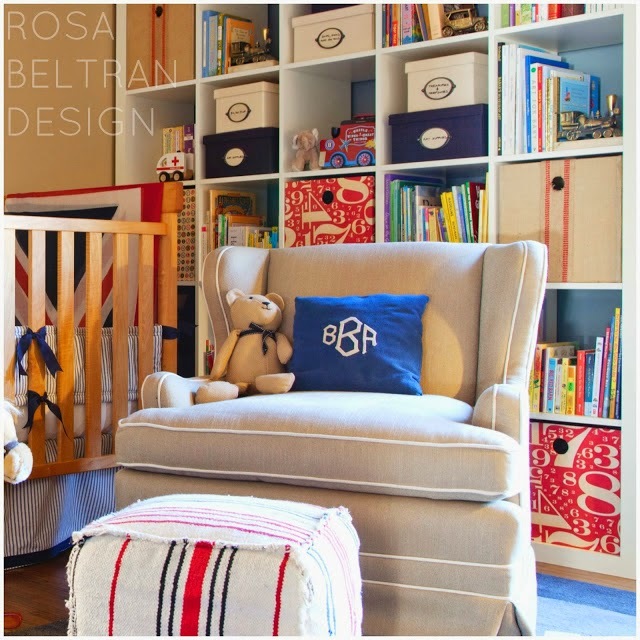 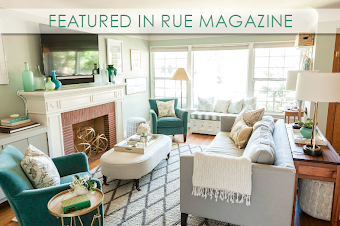 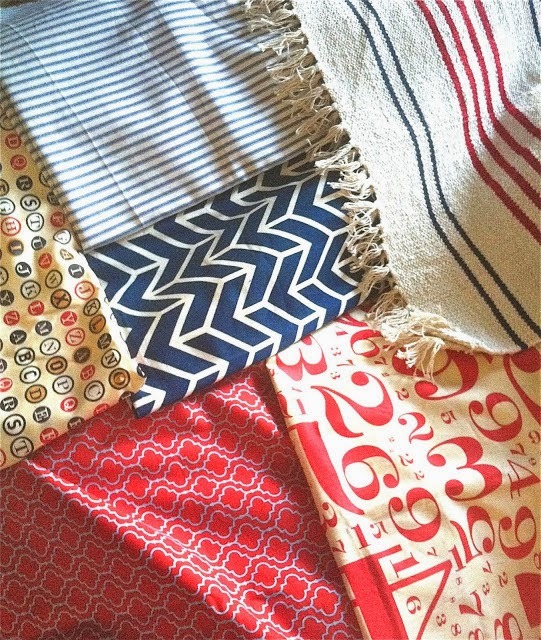 Rosa Beltran Design: MORE KIDS' SPACES: INSPIRED BY COLOR! 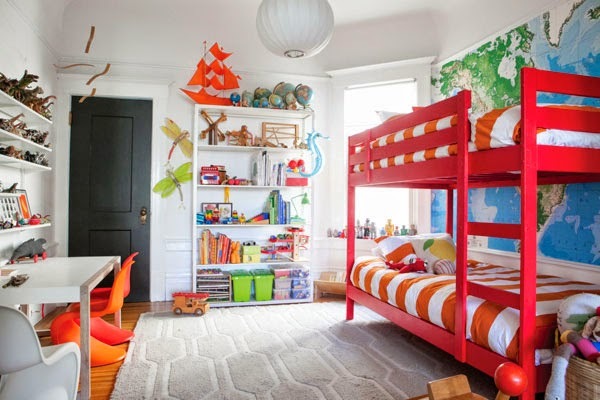 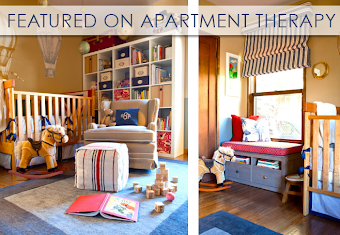 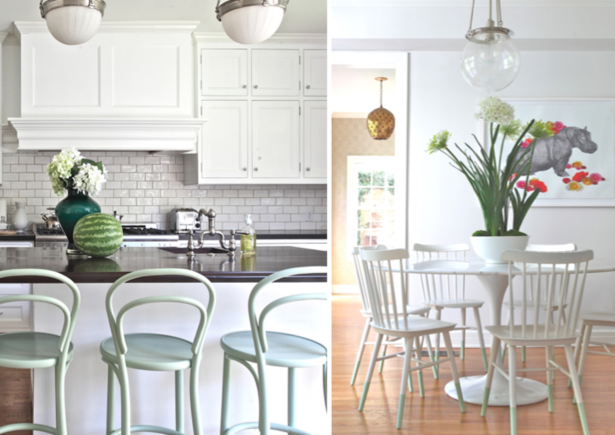 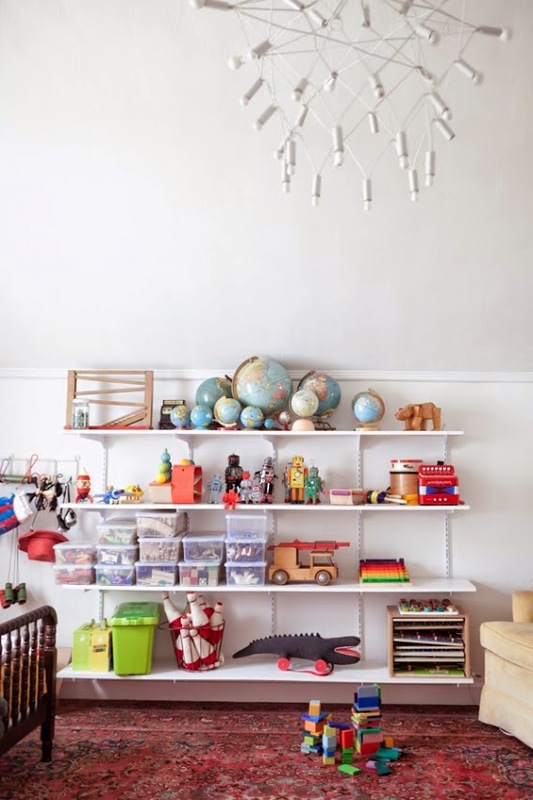 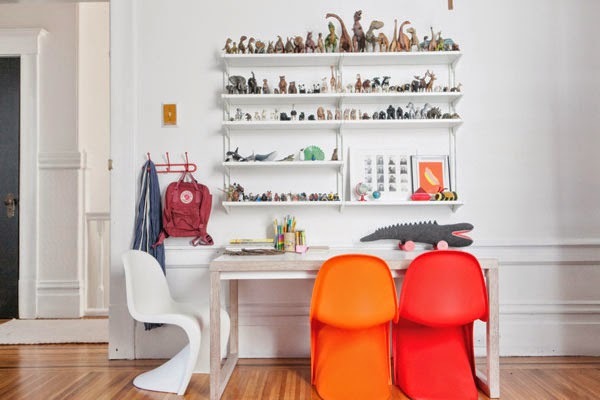 MORE KIDS' SPACES: INSPIRED BY COLOR! 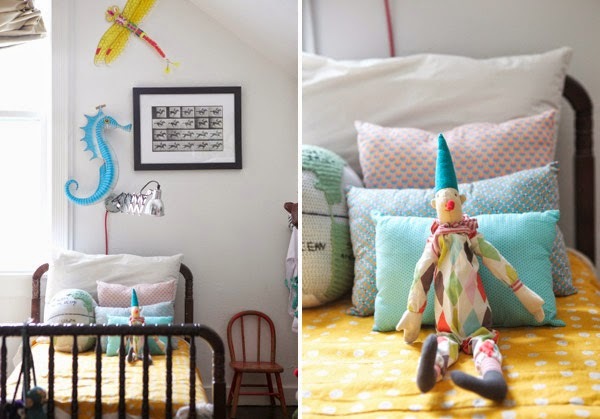 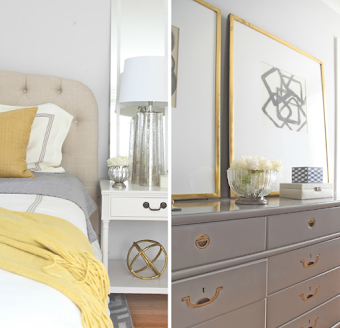 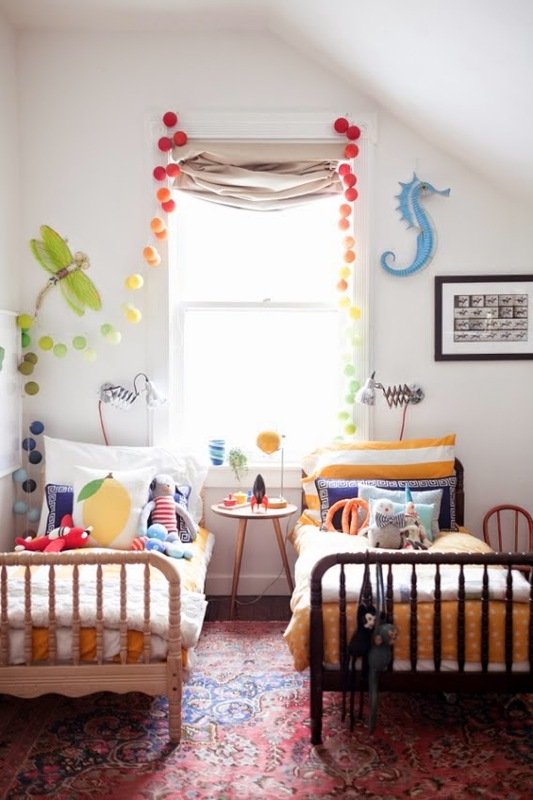 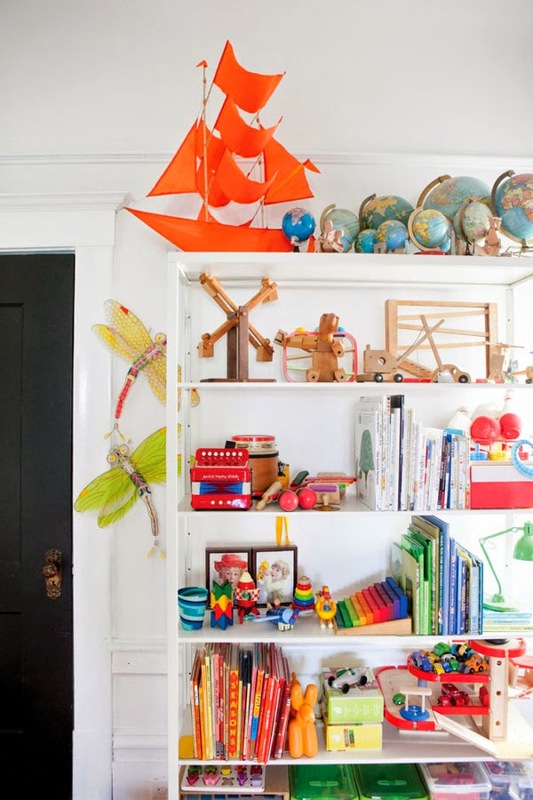 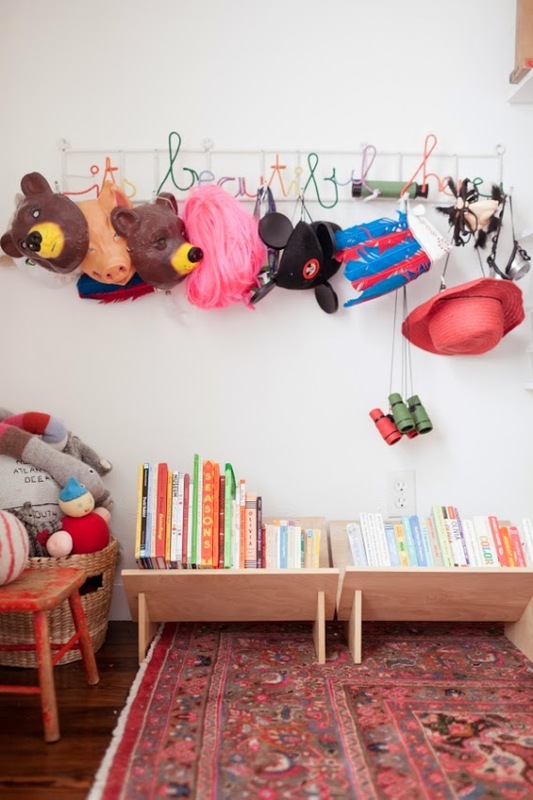 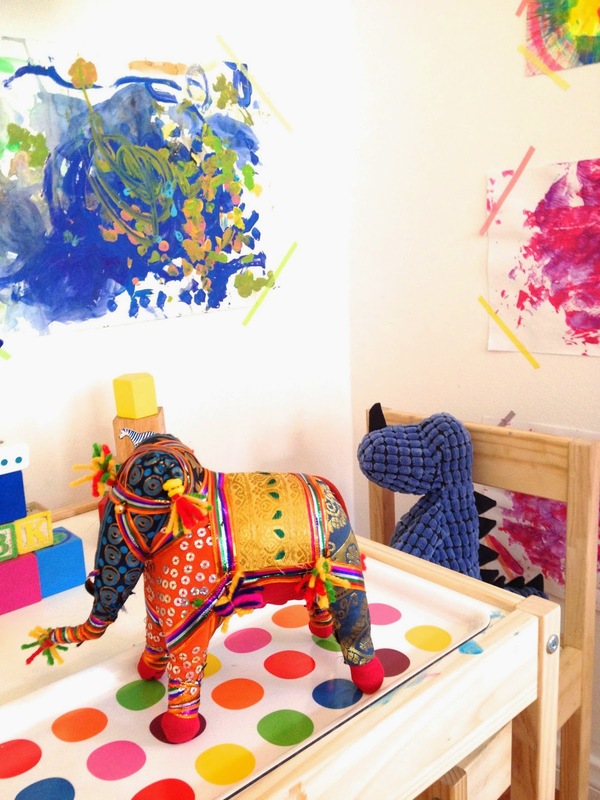 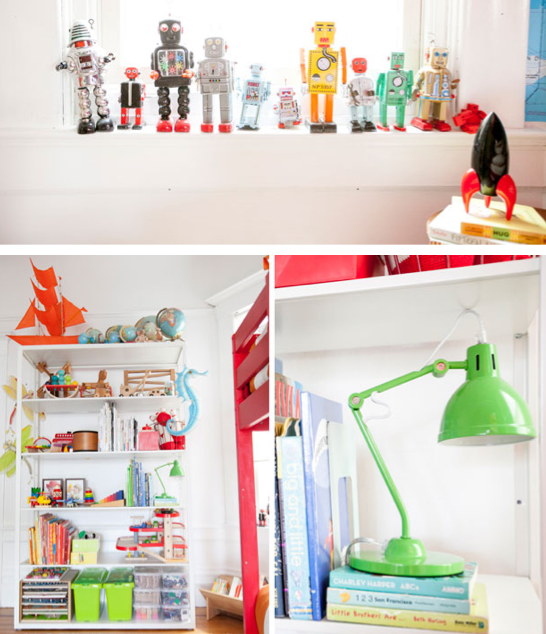 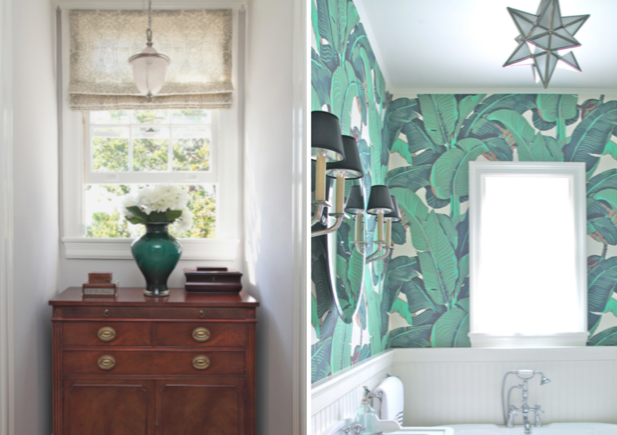 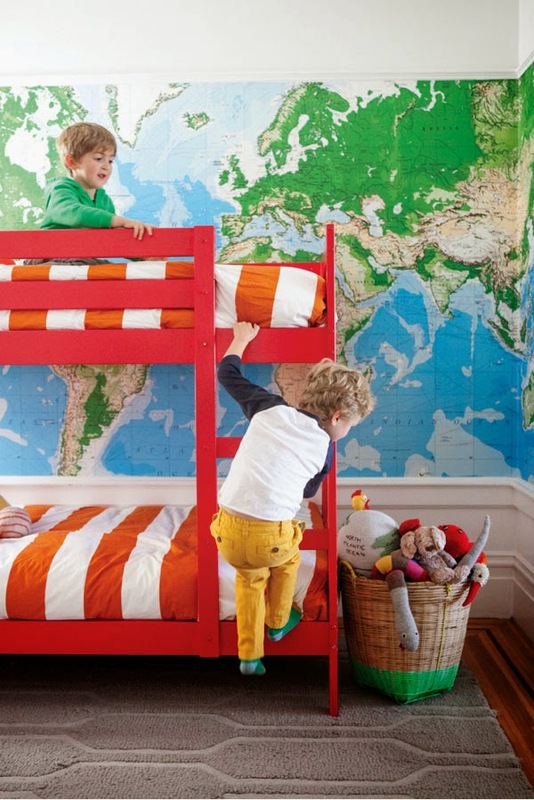 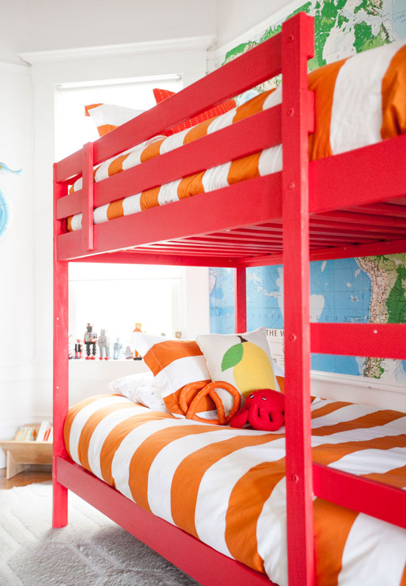 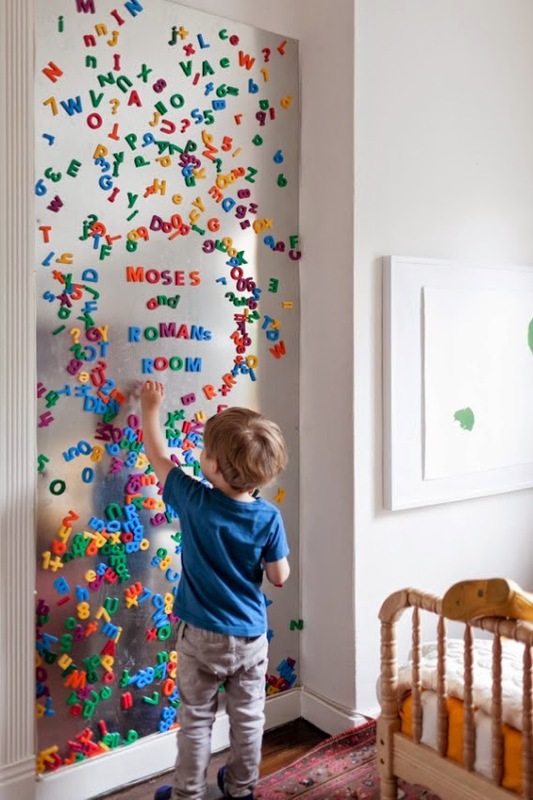 Anyhow, her kids' rooms are always colorful, whimsical, and ultra creative. 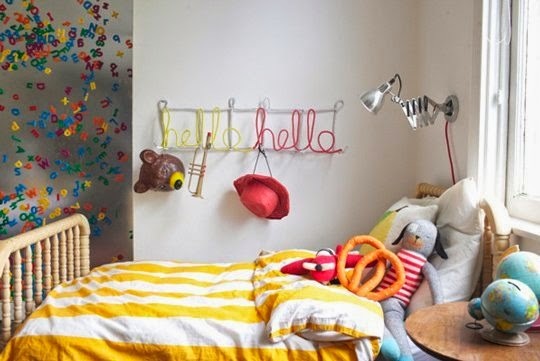 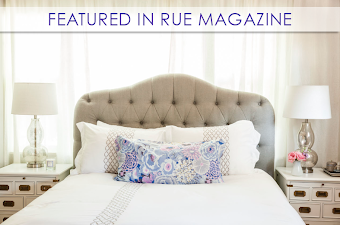 They make you want to unleash your inner child, which is exactly what a kids' room should do! 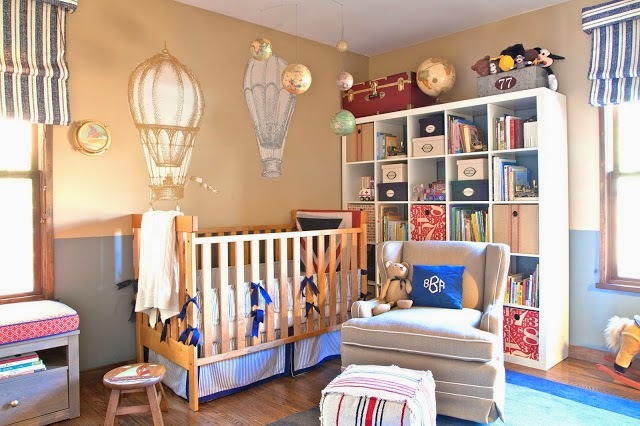 The first baby nursery I designed when I was pregnant with my son Benicio was an ultra classic "little gent" nursery for him, done in navy blues, reds, tans, and brass tones. 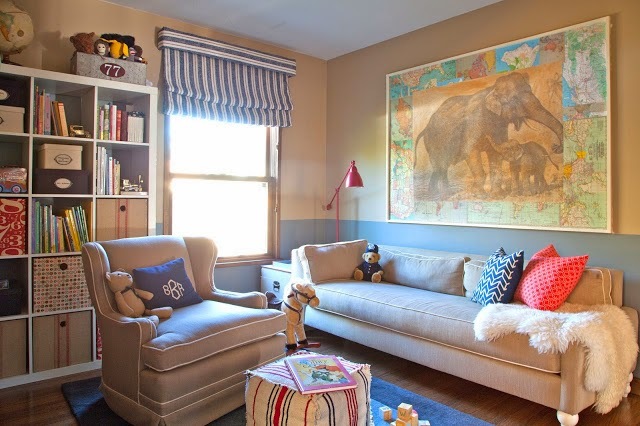 Think Paddington Bear meets Wright Brothers meets National Geographic. 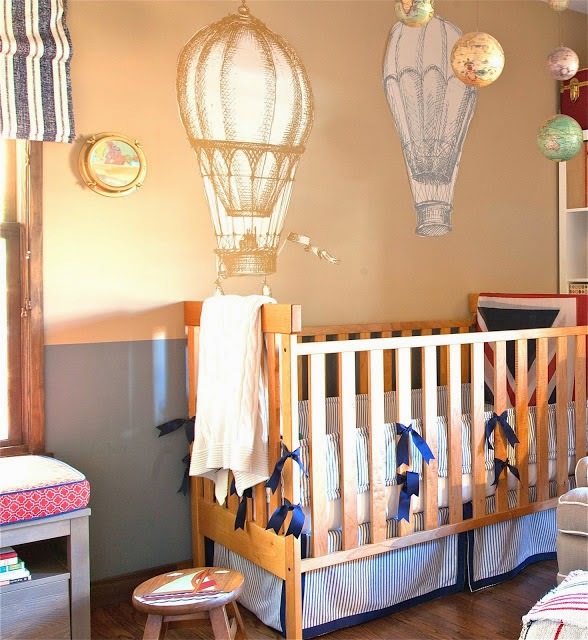 Between the hot air balloon wall art, the globe mobile, and the diy wall mural I made from a vintage engraving of a mama and baby elephant framed by old maps, it, definitely had a "little explorer" vibe going. 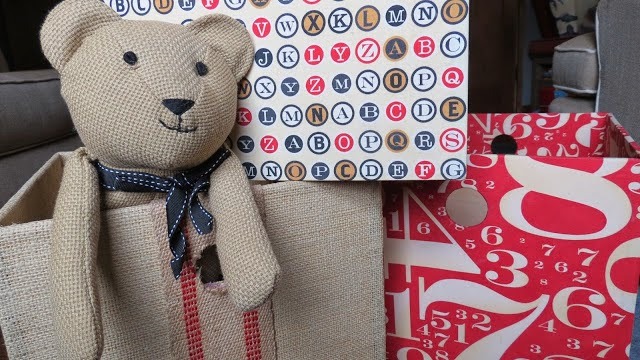 I combined classic mattress ticking fabric with burlap trim and vintage numeral and typewrite key fabrics to give it an old-timey feel. 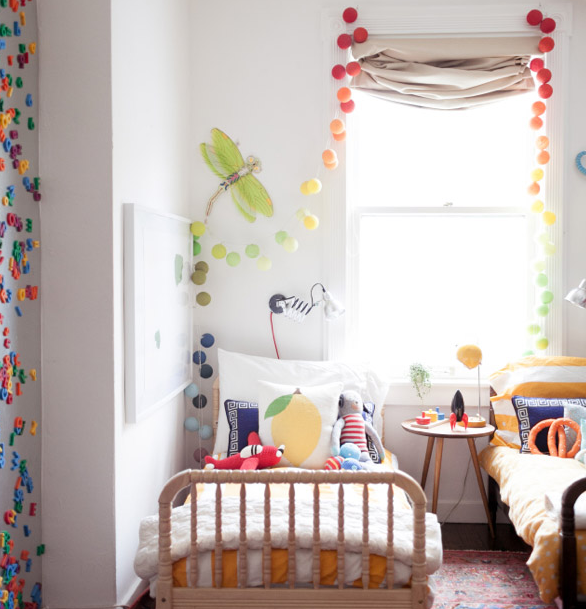 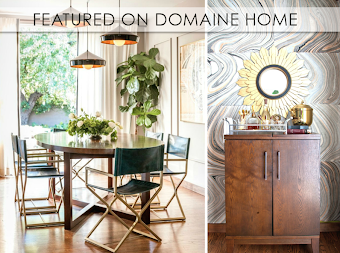 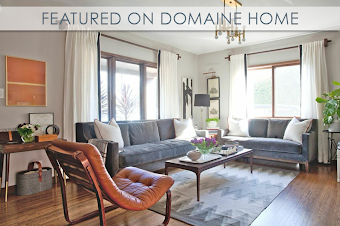 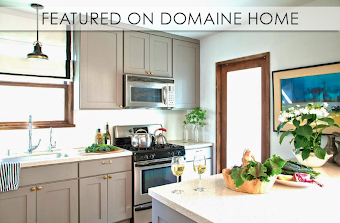 Aren't those just the sweetest spaces ever? 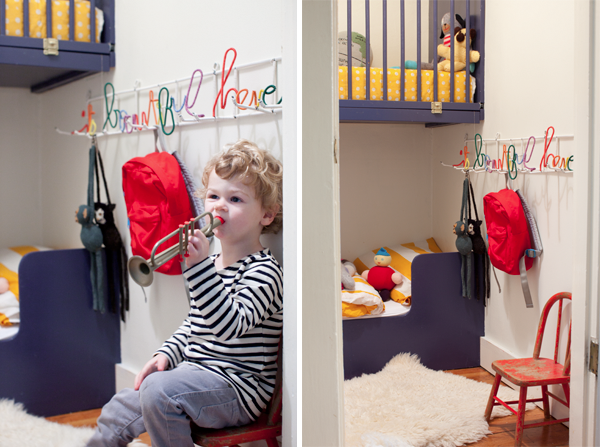 I'm really looking forward to finishing Benicio's room and showing you what I come up with!